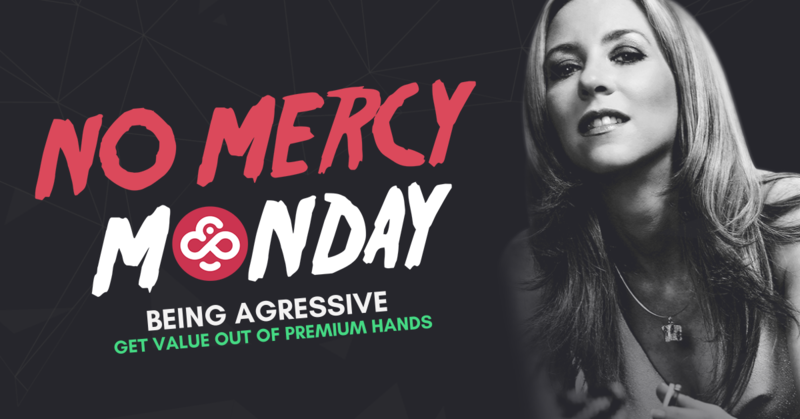 Over the last three weeks, we saw why being aggressive is a winning style of play in poker. We looked into the powerful weapon of continuation bets as well as how advantageous it is to raise instead of simply limping or calling before the flop. But there are other reasons why being aggressive is so much better than being passive, and one of them is because you will be able to win gigantic pots with your premium hands. If you adopt a consistently aggressive style, nobody will believe that you are actually holding this type of hand. When you raise a lot, players do not tend to give you much credit for your hands. Therefore, when you do hold a hand like or , then you can be pretty certain that you will be able to go all-in if anyone in front of you has any kind of premium hand. They will never believe that “this one time” you were actually holding the nuts. On the contrary, if you play really tight, everyone will suspect that you hold a giant hand when you finally decide to raise. Being aggressive also implies that you will be bluffing much of the time. In my opinion, it is best to appreciate the bluffs that succeed and to not brag by showing them off unless it serves a very specific purpose. Some players may get on tilt after being bluffed, so it may be wise to show them your bluff if you are ready to follow up and to go after the rest of their chips. But remember that showing off a bluff will weaken your image at the table, and it may be more difficult to bluff successfully afterwards. Finally, understand that you will sometimes get caught trying to bluff and that it’s part of the game. Don’t be shy about it and use this opportunity to make the same play later on while holding the nuts. You should get called if your opponents were observant enough! Join me twice a week in the Hubble Bubble tournaments to practice your skills and try to win my 10,000 CHP bounty!